Last November I ran across a set of photos in a Facebook group known as In The Weeds. The name tells you what to know. 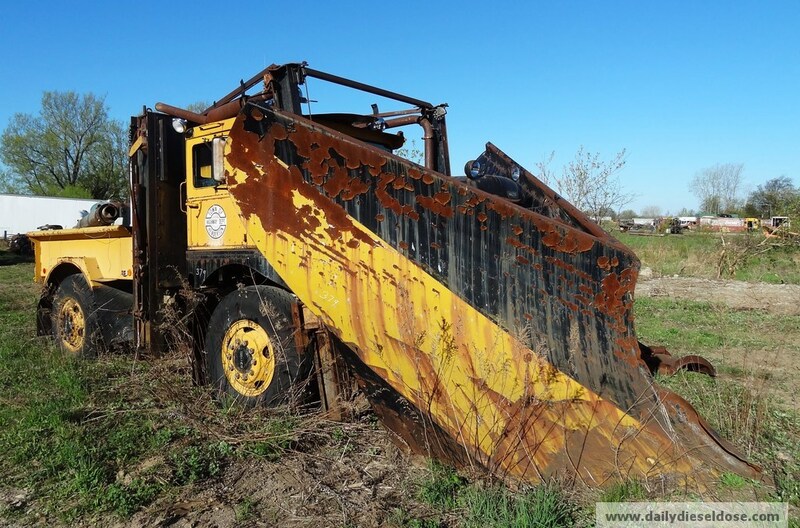 Photos are shared of various trucks and other heavy equipment that has been left in the tender care of mother earth. HA! Anyway, the photo came from a scrap yard in Adams, NY and the contents of said yard blew me away. 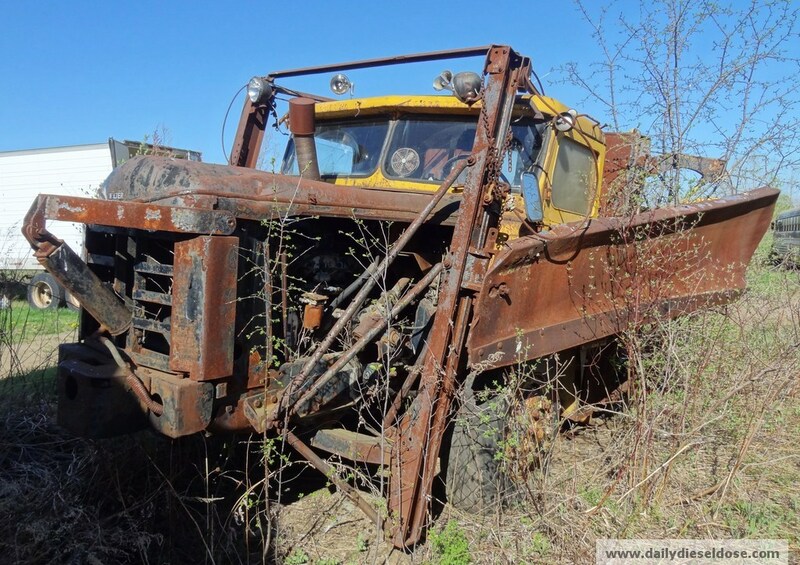 Brockways, Autocars, Whites, military stuff, buses, cars, pickups and construction equipment. It was all at Dobbins. The original poster warned that a major scraping process was underway and soon all would be gone. I become obsessed with getting up there to check it out. The best I could do was a drive by were I saw these two old two trucks. Thankfully the stars aligned and I soon learned that much of the yard was to be auctioned! I cleared my calendar months in advance. Yesterday was the big day. I arrived around 8AM and found nearly every truck I so drooled over from the In The Weeds facebook group plus a few more. I brought two cameras with me fearing that a memory card or battery would fail before the day was over. Smart move on my part as one of the cameras ran out of juice while the other ran out of space. There was simply too much to video and photograph. 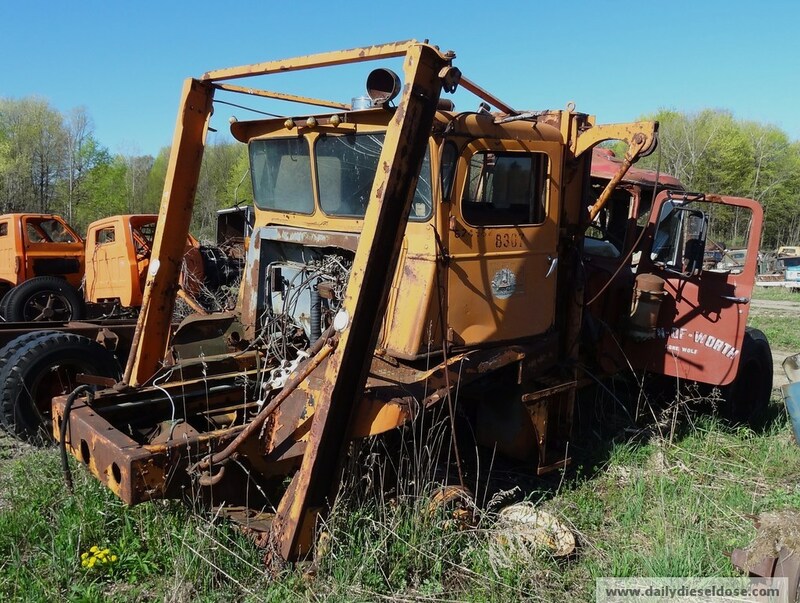 Over the following days I will share with you the treasures this yard had to offer in both car and truck form. There will be plenty of walk around video with smart commentary by your humble host. Use of the mute button on you computer is advised. Of course I am going to start with plows! If I counted correctly there were five Walter Snow Fighters on the grounds. At least three were for sale. 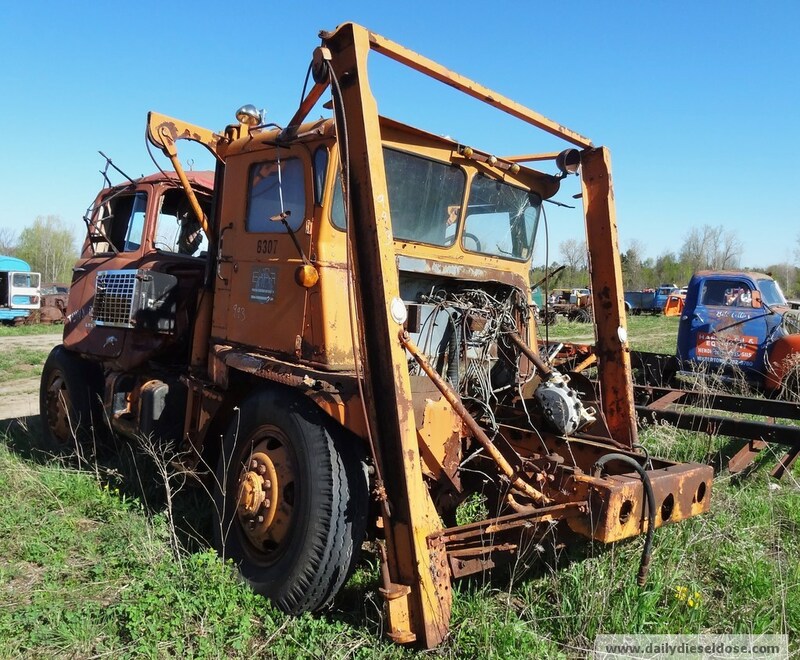 It seemed to me that many of the larger trucks were not up for auction. The reason is unknown. Either way I have video of the two most complete units and photos of everything else. 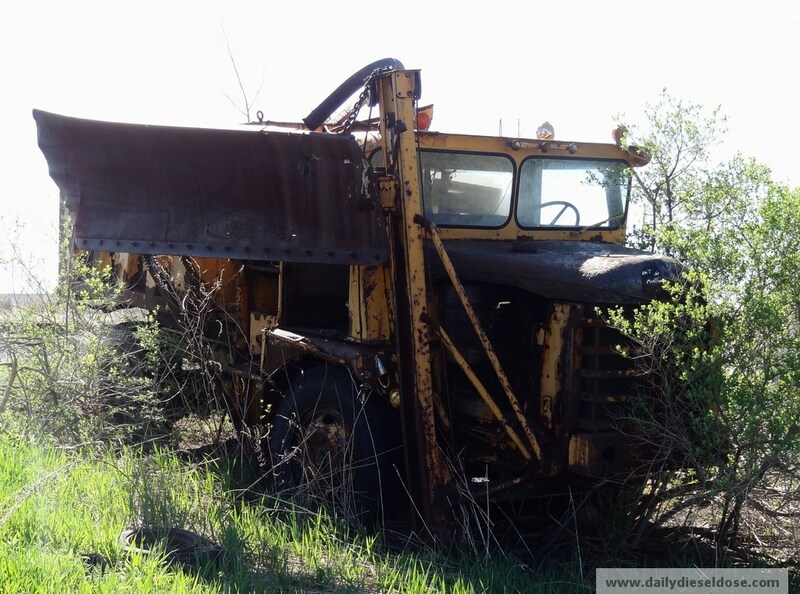 I was very surprised to find a former Onondaga County truck in the piles of steel and endless school buses. Hopefully some of our resident experts can fill in the details. The Walters come from a time when nearly every highway department had at least one in their garage. If you had serious snow to move you had a Snow Fighter. There really was no other viable option outside of Oshkosh. Like Brockway, Walter was based in NYS and had a very loyal following among local government. Too be honest, you still see plenty of them around. Some even in active service! 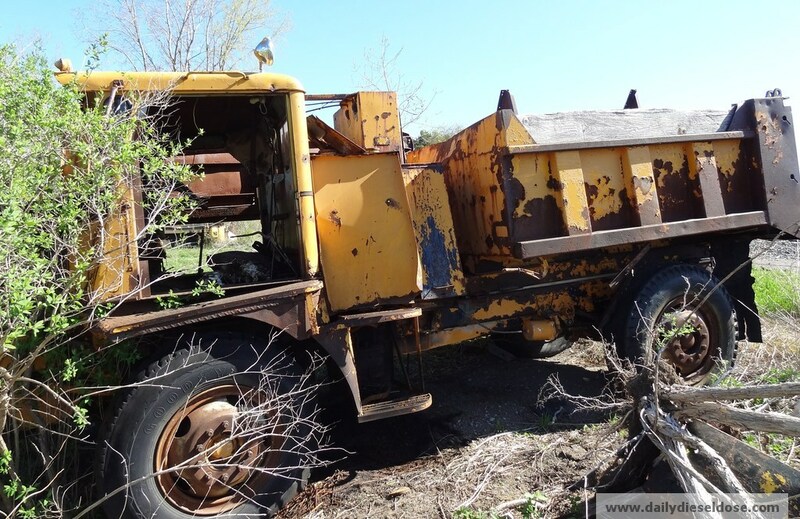 This entry was posted in Snow Plows and tagged alex lyon auction, dobbins auto parts, walter snow fighter. Bookmark the permalink. You are legend!!! I hope these Walter(s) go to a good place that doesn’t have hydraulic rams and torches!! I got roughly 200 shots from the auction yesterday. We got up there at 9 am, we walked the yard. We left for lunch for a hour, came back and tried to last until they got to the back of the yard where we were waiting on some model A doodlebugs. We gave up and left. I know there were a lot of pissed off guys because Dobbins kept pulling things out of the auction. 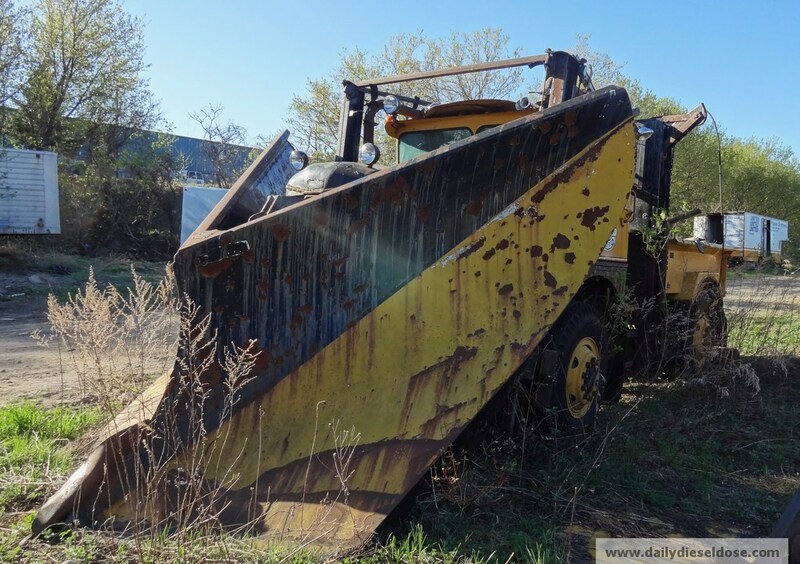 What he kept was really beyond belief, he also had been selling to folks weeks before the auction, one guy I talked to said that he was in during the past week with a 30 yard roll off picking up structural steel. I was surprised to see a couple of Oneida built buses (built in Canastota). Anywho, I’ll give you a link to the Google album once I finish setting it up…. The Town of Henderson Walter is a beast. Cummins V-903 and an Allison automatic! For future reference, the Walter serial number gives you the model year with the first 2 digits so always make note of it when you see one. 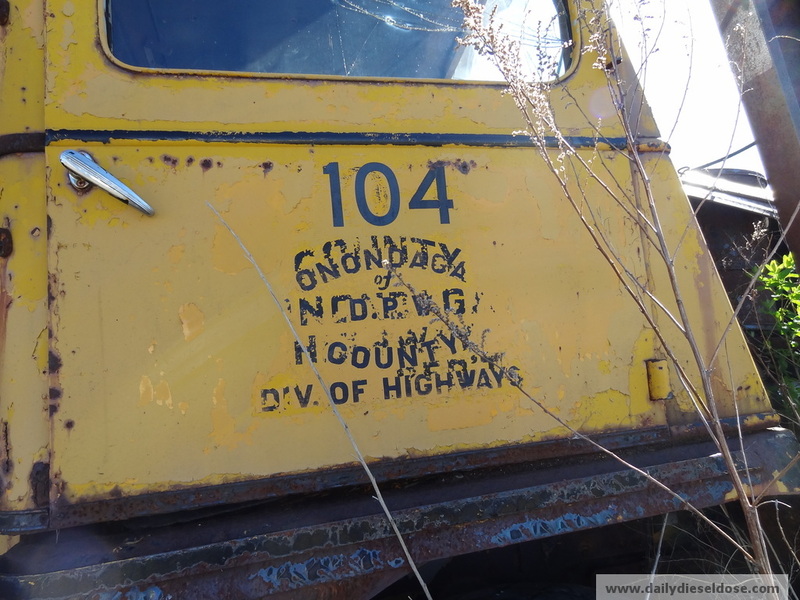 Sometimes trucks would be registered a year later, for example I have seen Walter’s with “58” as the first two digits of the serial number registered as 1959 models. But, as a rule it works. By the way, that block of wood in the Watertown truck is the clutch! The pedals in these were so close together it seems unnatural and easy to mistake. The larger pedal to the right is the brake and the little, table spoon shaped pedal to the right of that is the throttle. Who bought the town of Henderson Walter? I hope it went to a good home. 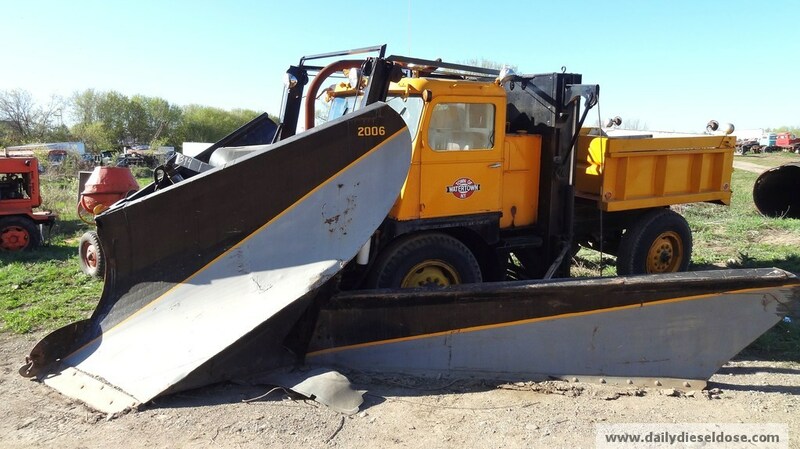 the town of East Hampton NY(last town on Long Island still has 4 Walter Snowfighters in active service and very good condition. If it still works, run with it. Would love to see pictures some day! Grant Roberts, Larry Marmet, and I rescued the first truck with the 903 Cummins and Allison automatic this Tuesday and will be restoring it. I worked many many hours behind the wheel of a walter snow fighter as extra driver for the state of Delaware at the Bear yard and Middletown yard it was unbelivable what a Walter could do going into six to ten foot drifts I sometimes drove one with a wing on the right side you had to have a very good person operating the wing I guess after a few years of mild winters the state sold them off I wish now I had bought on of them to restore oh well who knows I may find one I do have a B 61 Mack that I restored but I still have room for a Walter Snow Fighter. I am interested in learning about the mechanical (100% traction) derive train of (any) Walter Snow Fighter. Any parts book sheets or general arrangement drawings available? Thank you. There are 2 worm wheels connected by 6 worm gears. When you go around a turn the worm wheels rotate the worm gears on their axis for differential action but if a wheel is hung up the worm gears can’t turn the worm wheels so it turns as a solid axle. With this setup you can jack 3 wheels clear off the ground and the one wheel with a little bit of traction will drive the truck off the 3 jacks. This is 100% Traction!!! The truck then drives through jackshafts out to a spur and internal ring gear setup (G-40000, 64:16; B-40000, 70:14; U-54000, 70:12) in the wheels giving it lots of pushing power. The solid axle allows the snowplow to attach directly to the front axle. With the standard transmission the transmissions input and output shafts are reversed to put the center differential inside the output shaft eliminating a transfer case and the front differential in the front half underneath an the input shaft. With the Allison it’s the same basic drivetrain but configured more like a regular 4 wheel drive truck with the center differential as a single speed transfer case and the front drive as its own unit.